(Bloomberg) -- A cyclone that tore across southern Africa this month may have destroyed more than $1 billion of infrastructure, the United Nations said, as the death toll from the storm climbed to more than 700. After devastating Mozambique’s port city of Beira, Tropical Cyclone Idai damaged roads, bridges and dams as it moved toward eastern Zimbabwe. More than 100,000 houses were partially or completely destroyed, according to the UN. It also ruined more than 500,000 hectares of crops, just as farmers in the region were preparing to harvest their corn after a drought. The UN World Food Programme last week raised the crisis classification for Mozambique to its highest level, which it said put the disaster on a par with the humanitarian crises in war-ravaged Syria and Yemen. Satellite imagery of flooding in central Mozambique showed an “inland ocean” the size of Luxembourg, the WFP said. 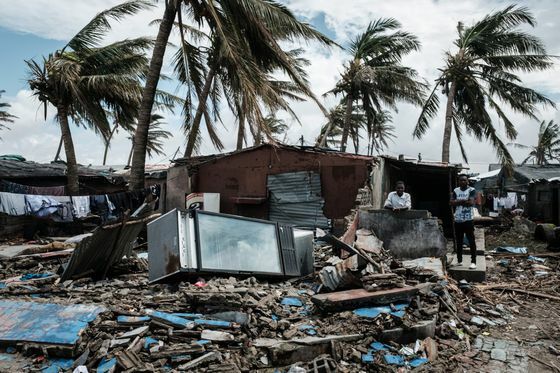 Before Idai struck, Mozambique had been battered by a sovereign debt crisis, with growth slowing to 3.3 percent last year -- the weakest pace since 2000, when the country suffered similar flooding that killed 800 people. The latest storm may deliver a further blow to the economy, according to NKC African Economics. In a country where almost half the population lives in poverty, the storm has hit ordinary citizens the hardest. 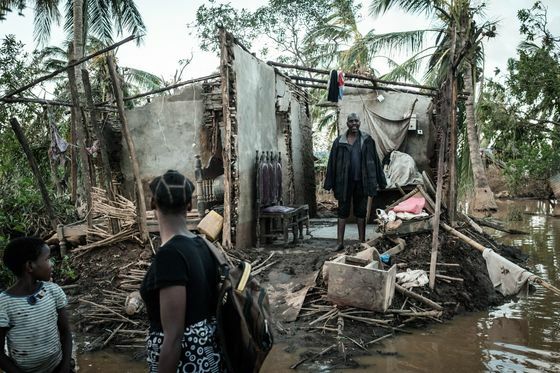 Rosa João, a 41-year-old Mozambican, spent two days desperately clinging to branches up a tall tree with her neighbors as she awaited rescue from the floods in Buzi, west of Beira. Below her, floodwaters reached as high as five meters (16 feet) and as she watched bodies float by. João had nothing to eat for nearly four days while waiting for rescuers, she said in an interview in Beira. Her house in Buzi was swept away, with everything in it. As disaster relief workers shift their focus from search and rescue, fears are growing over the potential outbreak of waterborne diseases like cholera and malaria, Jane Sweeny, a spokeswoman for the International Federation of the Red Cross and Red Crescent, said by phone from Beira. Once the waters have receded, tens of thousands of people like João will need to rebuild their homes and wait for the next planting season that starts at the end of the year.